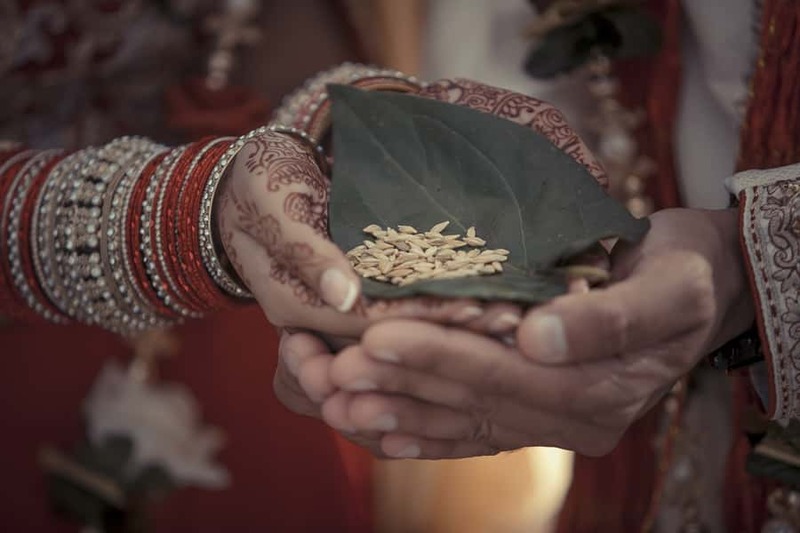 An Indian wedding is not just a union between bride and groom, but of their families as well; participants are always very numerous and the celebrations last several days. This kind of rite is very complex and may vary based on the many religious ramifications. One or two days ahead of the wedding, the all-women’s celebration of Mendhi takes place, during which women – in particular the bride – decorate their hands and feed with very fine and delicate henna tattoos. During Sangeet, the couple and their guests celebrate by dancing typical Bollywood dances. 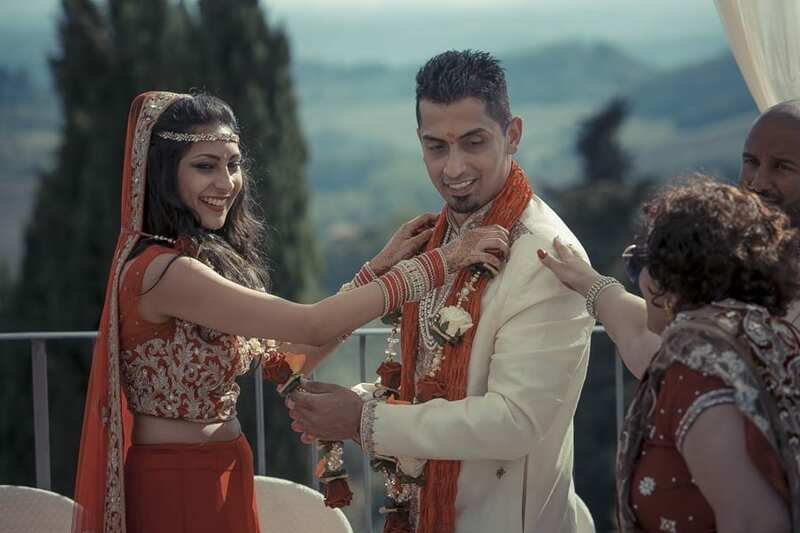 The morning of the wedding day, the couple carries out two small, intimate ceremonies, during which the bride is adorned with white and red bracelets – choora – which she shall wear for 40 days.